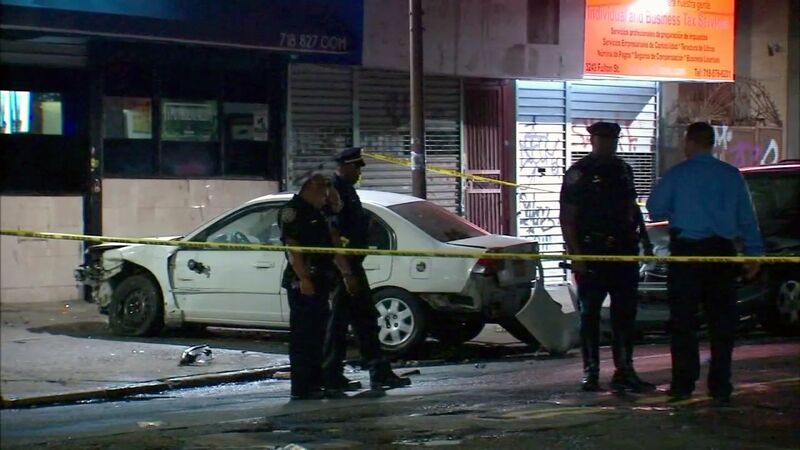 CYPRESS HILLS, Brooklyn (WABC) -- Police tracked down and arrested the driver they say took off after striking and killing two fathers in Brooklyn early Monday. The NYPD said 21-year-old Efrin Lanfranco-Perez, of Brooklyn, surrendered with his attorney Monday. He's facing charges of leaving the scene of an accident resulting in death and aggravated unlicensed operation. Police said he was driving without a license at the time of the crash. 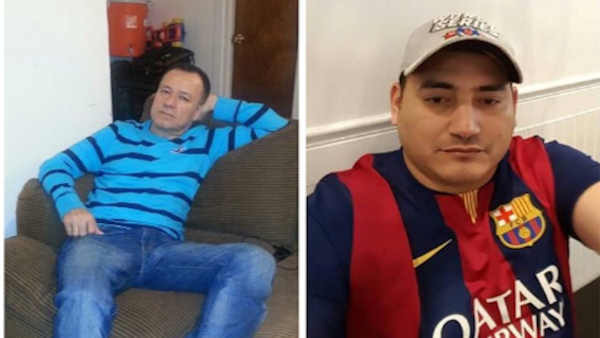 Police said Lanfranco-Perez was speeding when he fatally stuck 56-year-old Israel Turcios and his friend, 41-year-old Delmer Maldenado. The two were getting a midnight meal together on the corner of Fulton and Chestnut streets in the Cypress Hills section, when the car hit them. According to police, Lanfranco-Perez then took off and hit two cars before ditching his car and running away. After the crash, the criminal complaint states he then called his stepmother, telling her "I was in an accident. My head is messed up." His bail was set at $300,000.